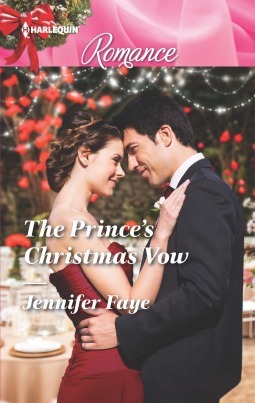 The Prince’s Christmas Vow is an endearing, well told romance filled with heart and warmth. I like the premise – that they were so impetuous and passionate that they rushed to get married and then it went kablooey. Add in a little passage of time and maturity and they meet again; will the fires of passion flame out of control again? That’s a fascinating theme to explore and I really like what Ms. Faye did with the plot. Demetrius and Zoe were wonderful together. I liked their chemistry, their dialogue and the little moments in the story that made it clear that their love was still very much present. Zoe’s the one with the conflict and she’s running scared. Her reasoning is noble, pragmatic and oh, so totally unnecessary, especially when those marriage vows have the meaning they’re supposed to. There’s a lot of hurt feelings and fear to wade through but eventually the truth comes out and it’s freeing. The external conflict is mild but it’s there and it’s effective because the villain was described in such a way that it gave me the creeps. There’s a short but packed action scene that was quite exciting because it was written so well. The downside is Zoe’s emotional baggage. I felt it went on too long and it drove me a little nuts. She thought she was making the best decision for Demetrius but I felt she was making the choice for him and it wasn’t fair. Considering the kind of man the author wrote him to be, I didn’t see him as someone who would see it Zoe’s way. It took some doing, again too long, but eventually love does win out and for that I’m very grateful. The king was a very brief secondary character but his clever ploy was adorable. I give him high marks for trying. I even liked the tree decorating scene; it was another wonderful example of how perfect Zoe and Demetrius are together. All in all The Prince’s Christmas Vow was a delightful read. It’s sweet, engaging and had some wonderful romantic elements. The happy ever after is completely satisfying. This is definitely a worthy story to spend time with.